When Rossy Toledo designed curriculum for her Intermediate Intensive Spanish for Communications course 10 years ago, her students learned all the concepts a communications major would need to market to the Hispanic population. After a few years, she discovered the need to provide a more hands-on experience for her students. Students have worked on projects from promoting fuel efficiency to advertising community resources. This year, Toledo and her students collaborated with WonderWorks in Pigeon Forge, which bills itself as “an amusement park for the mind.” The attraction combines education and entertainment with over 100 hands-on exhibits. 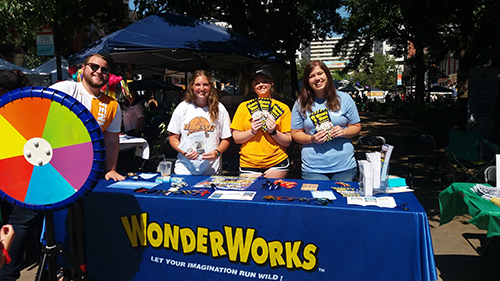 The semester-long project provided students an opportunity to apply their language skills to a real-world project by designing a Spanish-language flyer promoting WonderWorks and talking directly to the Hispanic community about the park. The end product was an advertising campaign for the Hispanic community the students presented to the client – WonderWorks – at the end of the semester. Chris Siler, a student majoring in Spanish and a local business owner, found the experience to be very beneficial to both his academic career and his business. Katelyn Robinson, a public relations major, needed to fulfill her foreign language requirement before going abroad. When her advisor told her about this course, she jumped at the opportunity to take a course that would also help her in her chosen field of PR. 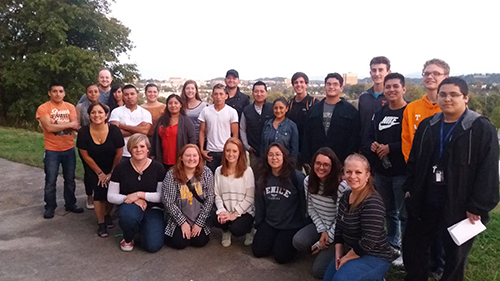 Another course Toledo brings hands-on learning to is her Intermediate Spanish Honors course, which is designed to meet the more rigorous needs of honors students. After teaching the course for a couple of years, however, Toledo realized the students needed more of a challenge. 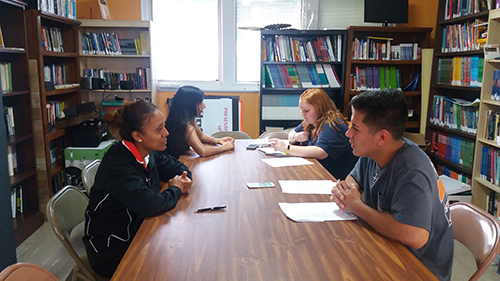 Armed with a Teaching for Innovation grant from the Teaching and Learning Center, Toledo came up with an idea to have students conduct interviews with the local Hispanic community. “I believe that in the current political climate, the spoken histories of the Hispanic community needed to be recorded somewhere, so this semester students designed and conducted interviews and recorded them using the Story Corps app,” Toledo says. 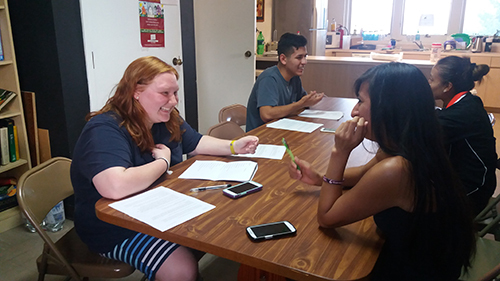 Students met and conducted interviews with members of the Hispanic community at Centro Hispano, a nonprofit organization that helps the Hispanic community by promoting empowerment and civic participation of the multicultural community through education and social services. During his interviews, Garcia discovered there were several people who had struggles similar to his parents and family. Kristen Peterson was not very thrilled to learn she had to interview a fluent Spanish-speaker – in Spanish. “I was so nervous because I did not think I was good enough to hold a 20-minute conversation with a fluent speaker,” Peterson says. When she met her interviewee, Jose, she relaxed and enjoyed hearing his story. The Centro Hispano project provided a bridge from classroom learning to real-world learning, an important piece of the experience-learning puzzle. Students apply cultural awareness to design the interview and use their command of Spanish to listen and understand the response.